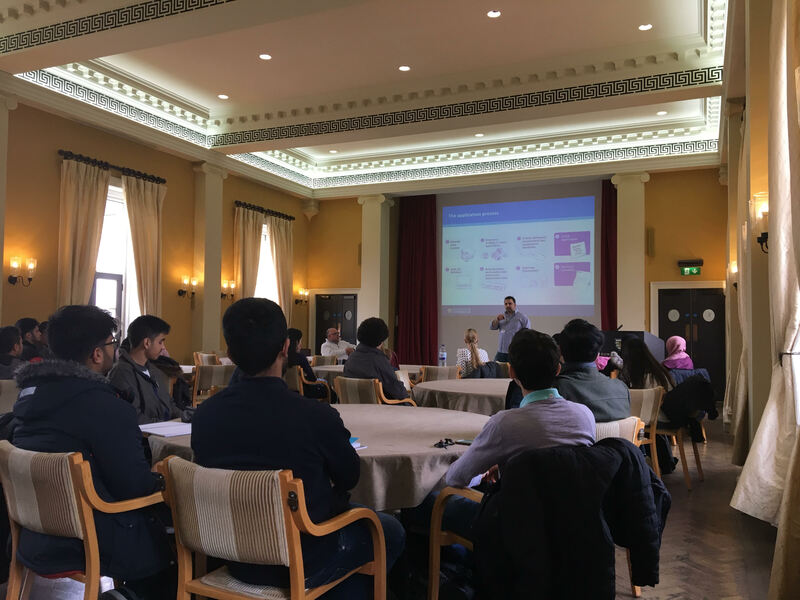 It’s been a busy year for outreach and widening participation at Downing! In SEPTEMBER we welcomed 6 school groups to Cambridge for our September residential. 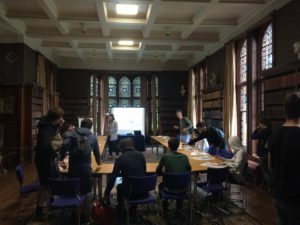 Schools from Cornwall, Devon and Dorset, our link area regions, were able to spend two days in Cambridge, experiencing life in student accommodation and getting to grips with the College system, as well as exploring the new subjects on offer at University. OCTOBER kicked off with a trip to Cornwall, and a visit to Truro College and Richard Lander School, before a return visit to Dorset (where School and College Liaison Officer, Jess, had her first experience of the South West public transport system trying to get from Poole to Lyme Regis!). In NOVEMBER we launched the pilot year of a new partnership with Villiers Park Education Trust. The project will allow 30 students from schools in Plymouth the chance to attend a week long subject specific residential, aimed at stretching and challenging their subject knowledge, before returning to their schools and sixth forms to develop their own educational projects to deliver to younger students in their schools. It was a busy few days, with the project launch slotting in to the middle of visiting 5 other schools across Devon too! 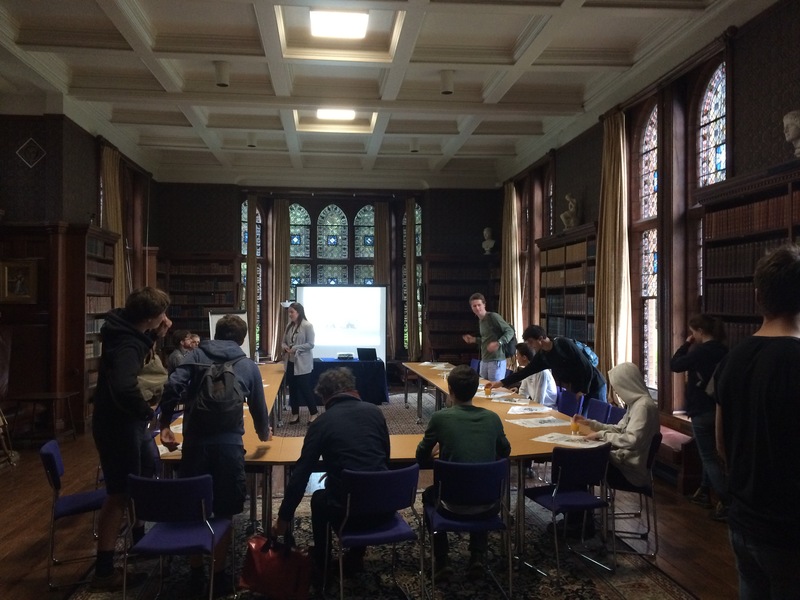 Jess also got a chance to experience life in the city, travelling to Clifford Chance offices in Canary Wharf, to help deliver a session for the Social Mobility Foundation alongside colleagues at Mansfield College Oxford. JANUARY: After a break for the interview and admissions period here at Downing, we returned in 2018 with something different – a trip North rather than South! We visited four Year 10 groups across Leeds to talk about A-Level choices and university options, as well as allowing our SCLO a chance to get her northern accent back after so much time in the West Country. Planning was then well underway for the first big event of the calendar year – the Information Days!. In MARCH however snow stopped play at the UCAS fair in Falmouth, but we managed to get back up to Exeter for two days at the Westpoint Centre (where presenting inside a giant inflatable tent provided a novel experience.) Alongside Exeter College Oxford, we then ran 6 hub events (the Oxford and Cambridge Information Days) in Cornwall and Devon, visiting Falmouth, St Austell, Barnstaple, Torquay and Plymouth, alongside our admissions tutors, to give advice and guidance to Year 12 students considering making an application to Oxbridge, travelling over 800 miles in just 7 days. In APRIL, Richard Lander school came to stay, and get to grips with all things engineering – though their marshmallow and spaghetti towers might need some more work. Jess returned to her old Sixth Form to talk to KS4 students and parents about making the move from Yorkshire to Cambridge, and alongside Trinity College, we ran a BAME Conference for Year 12 students, who got to experience taster sessions in Law, English, Neuroscience and Engineering, as well as find out about student support and the realities of life at Cambridge from our amazing student ambassadors. After some train related disasters, we then returned to Dorset for the second set of Information Days, this time with Merton College, visiting Weymouth, Dorchester and Bournemouth. MAY saw a brief window of quiet as students at Cambridge and in schools prepared for exams. 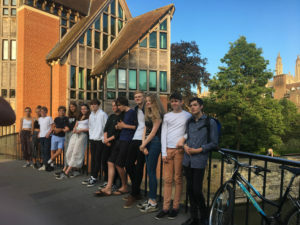 JUNE began with a three day visit by Humphry Davy School finally making it to Cambridge after a previously aborted attempt due to the untimely March snow, and a 9 hour journey! We then began planning in earnest for our largest ever South West Residential. The Residential, now in its 19th(!) 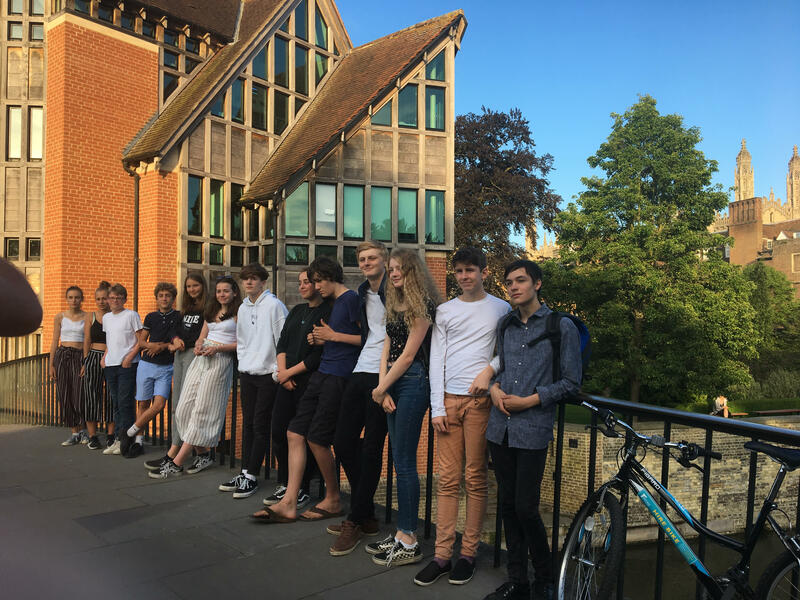 Year, is a chance for Year 12 students from across our link regions to come together and experience life at Cambridge, with specific sessions to help consolidate their subject interests. 68 students attended, the weather stayed glorious, and we hope to see lots of them back in December for the admissions round. Finally: The JULY Open Days! With temperatures reaching 30 degree, we welcomed thousands of visitors to Downing, who couldn’t miss our bright magenta gazebo, or the balloons expertly arranged by staff from our bursary and tutorial offices!